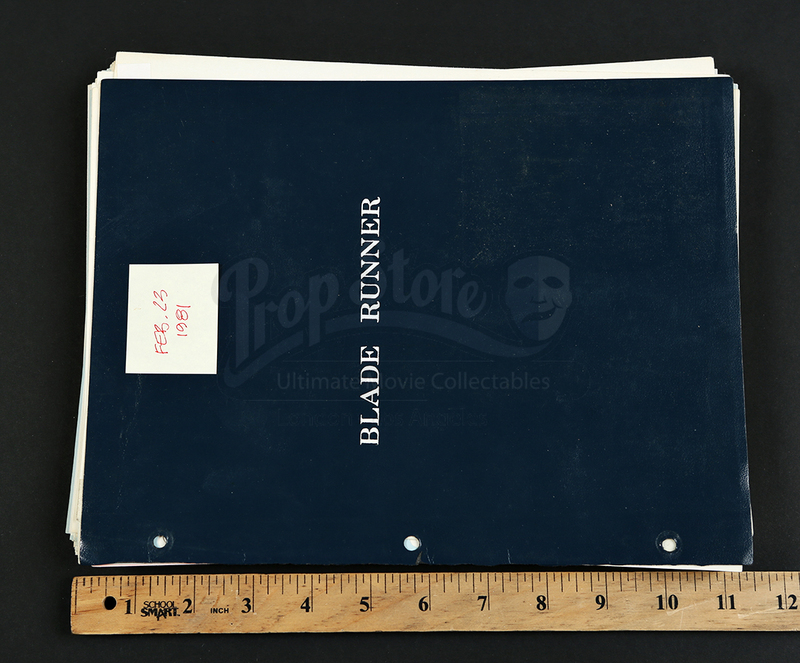 A shooting script used for the production of Ridley Scott's science fiction classic Blade Runner. 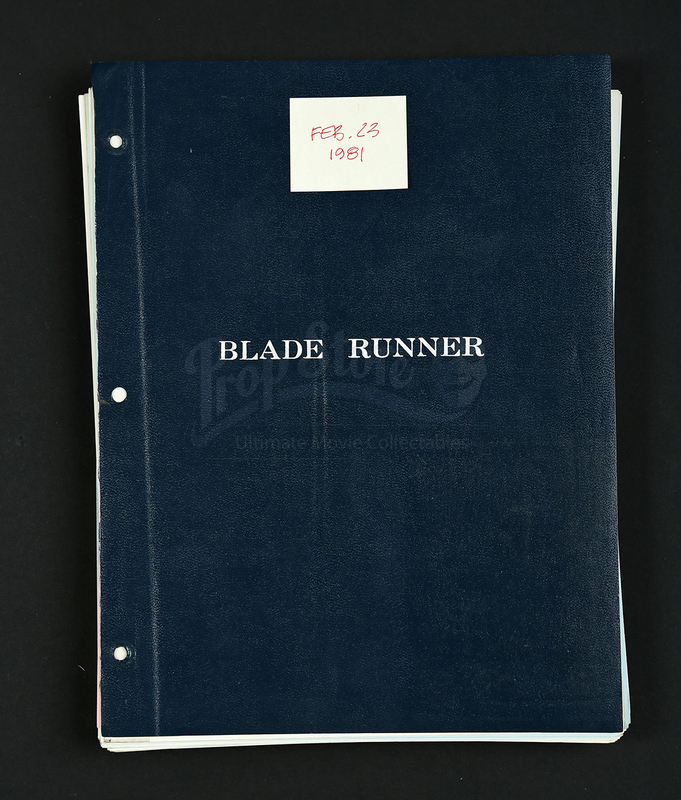 Set in an alternate version of 2019, blade runner Rick Deckard is called out of retirement in order to hunt down a group of rogue replicants. 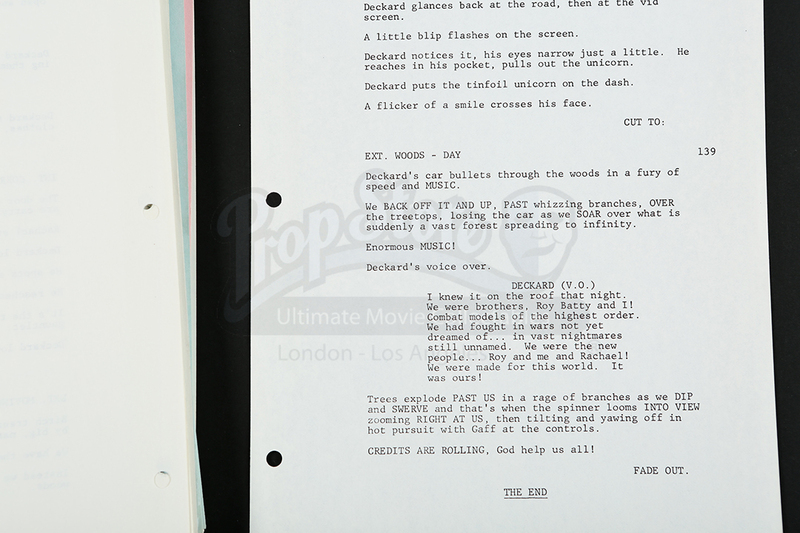 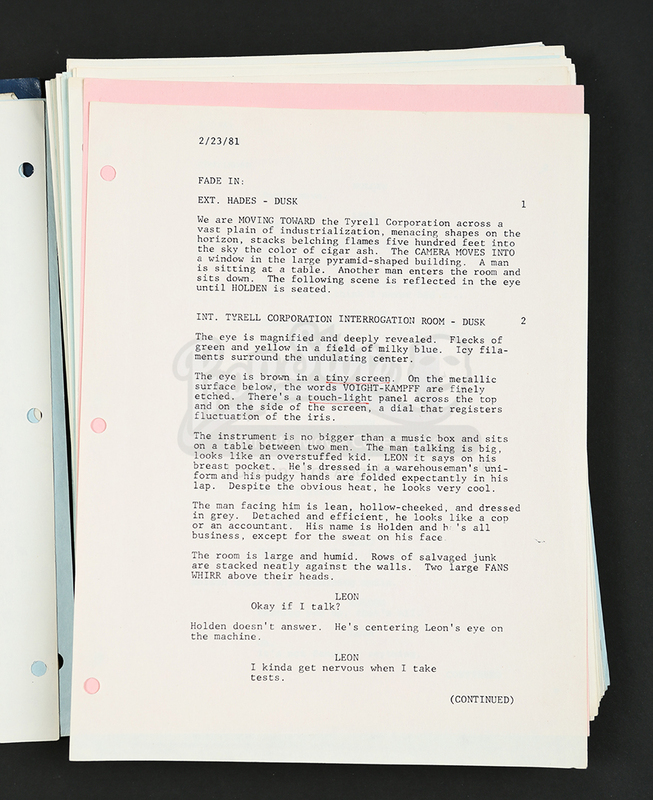 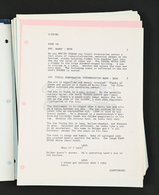 This 133 page script is dated February 23, 1981 and features numerous revisions added to it. 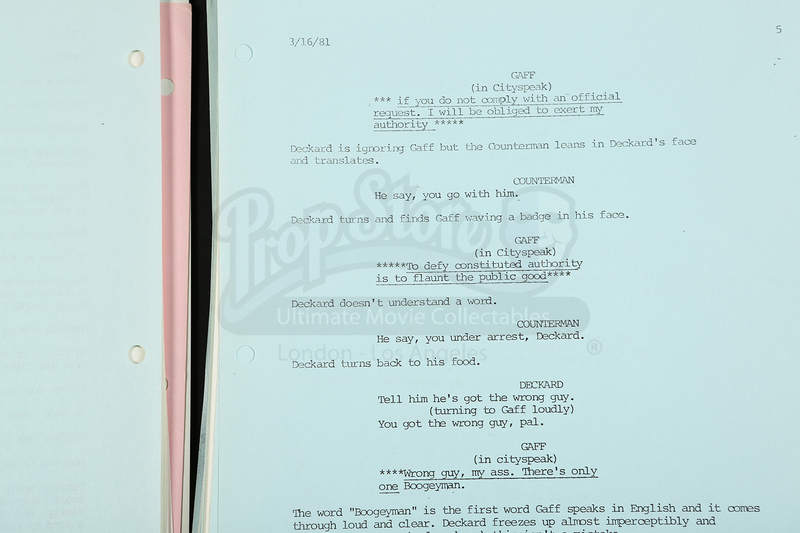 Blue and pink sheets are present throughout the script as these pages were added during production. 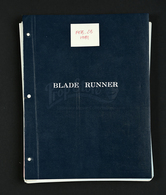 The pages are unbound and a plastic cover which reads 'Blade Runner' across the front is present. 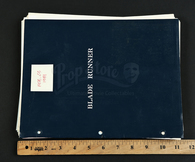 This script shows minor wear from storage and use, such as light creases to some corners, but remains in overall good condition.